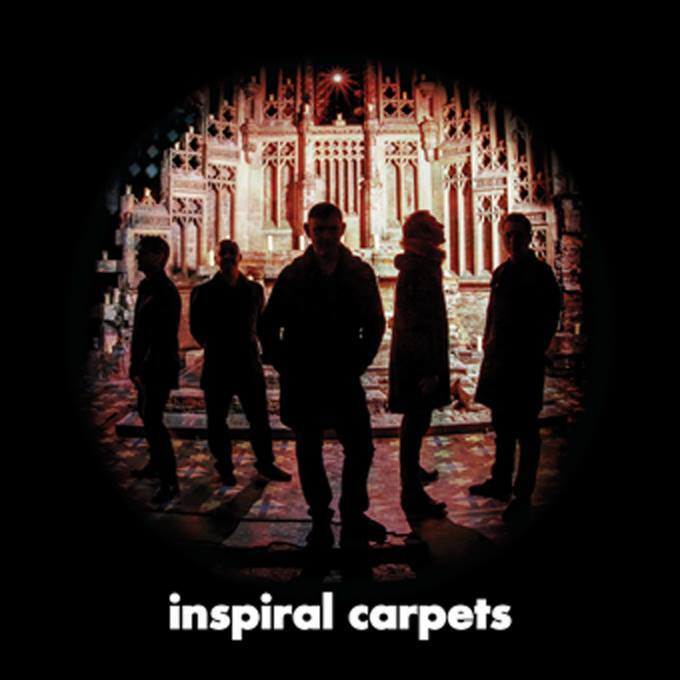 If you’d heard the album Inspiral Carpets in recent weeks without knowing the full story, you could be excused for thinking this was a debut LP. Not just because the band chose their own name for the title, but the fact that this North Manchester collective seem so fresh, as if eager to get their songs out there for the first time. In many respects it’s a case of carrying on where they left off though – not from their 2003 comeback nor even their initial break-up in 1995, but the day founder member and vocalist Stephen Holt left in 1989. 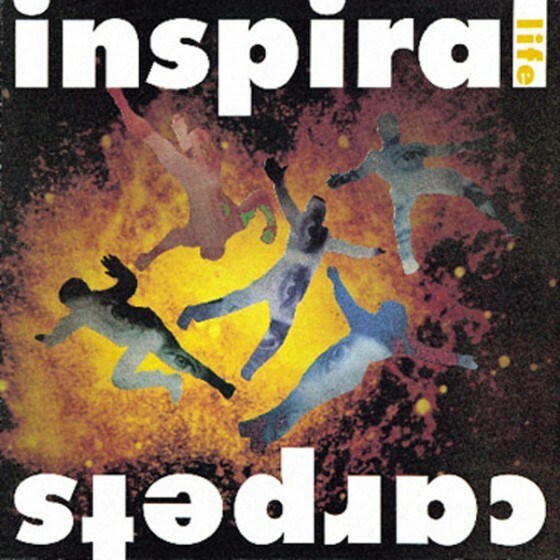 Inspiral Carpets were on the brink of success then, the album Life partly written and major interest in their initial recordings set to secure a deal with Mute Records. In 1990 they had a top 20 hit with This Is How It Feels and an album only kept off the summit by a retrospective Carpenters compilation. By then Stephen was leading The Rainkings though, with Tom Hingley taking over his vocal duties. 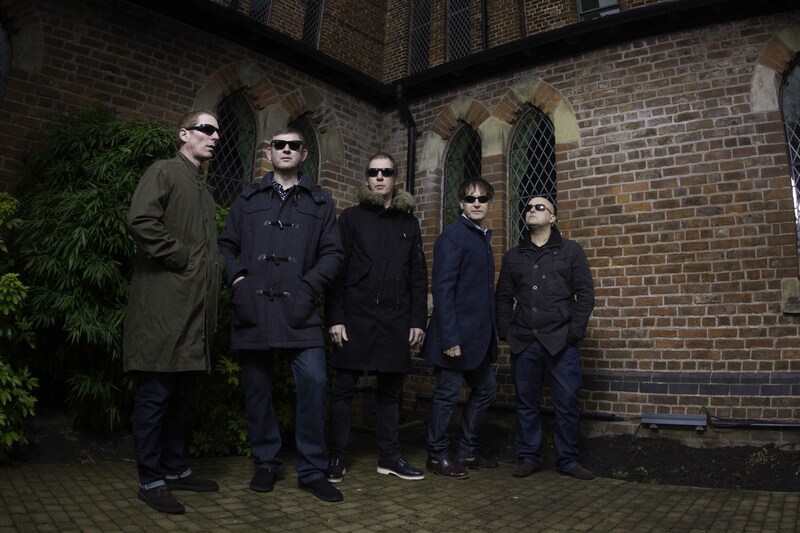 But the fruits of his eventual return – joining Clint Boon, Graham Lambert, Craig Gill and Martyn Walsh – can be heard on their new self-titled Cherry Red album, with the results arguably more in keeping with the band’s initial sound. Either way, the reception from fans and critics alike has been largely positive, as Stephen revealed. “We’re quite conscious of the fact that it’s our first album in 20 years, but in reality it only took us around six months to write the album. “Since I came back we’ve been doing loads of gigs, starting with a greatest hits set, a live tour and a couple of Record Store Day gigs. “We only started kicking round the idea of the album at the start of this year, when we got contacted by Cherry Red, seeing if we’d be interested in doing an album, getting Dung 4 out again, and all that. “One of the big things about me coming back was that I didn’t just want to just do the hits – they could have got someone else in to do that. “I wanted to do fresh material, as did everyone else, and I think one of the reasons it sounds so fresh and spontaneous is because we’ve had to just thrash the songs out and make it seem live. “In the past some of the lads said they’ve gone into a studio and spent around a week finding the right drum sound. I put it to Stephen that there’s a bit of a Teardrop Explodes or perhaps Mighty Lemon Drops vibe on a couple of songs, not least super-catchy single You’re So Good To Me, albeit with Clint’s tell-tale keyboard sound. “Oh, massively, and even when Tom was in the band, he got compared to Julian Cope for his voice. “It’s a weird one though, because with this album, for the first time we’ve all had a hand in writing songs. “We all bring in ideas and it’s a band effort, so there are five different sets of influences there. You’re doing it all for the right reasons too, I’m guessing. You didn’t have to have a crack at all this just to make a few quid, did you? Stephen was there on day one, of course. Can it really be 31 years ago he put the band together with Graham? “That’s scary that, and makes me feel old! “I’d known Graham from school days, although we were at different schools. But we were a little older when we started kicking things around. “Exactly! Graham and I knew each other from the area, played a lot of cricket and football and had mutual friends, so our paths crossed. 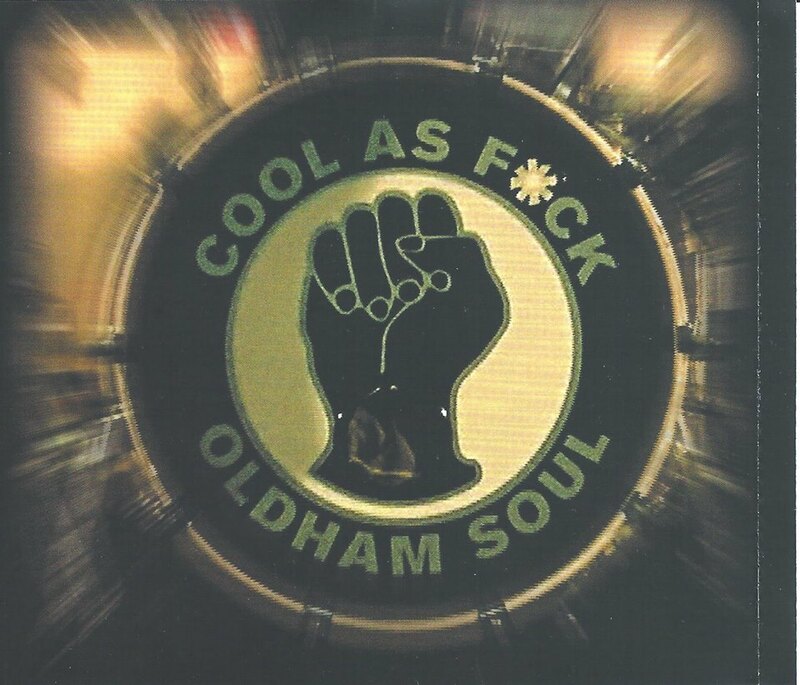 “There were a couple of indie discos around the Oldham area too, which we knew each other from. And that independent spirit remains with the band to this day, by the sound of it. “Definitely, we still say there’s no way we’re the best musicians in the world or the best songwriters. What music did you have in common back then? “I’ve always been more indie, into Joy Division, The Teardrop Explodes, Magazine, Echo and the Bunnymen, and more American punky stuff like Dinosaur Jr., Husker Du and early REM. Funny you should say that. I was revisiting that early material, and Joe and Planecrash were very The Teardrops meets The Stranglers, while Find Out Why had that similar energy and was kind of Ramones meets ? & the Mysterians. Talking of Mr Boon, who I believe had a studio in Ashton-under-Lyne at the time, I guess he has a few years on the rest of the band. “He has. I wouldn’t like to divulge that to you though! But we knew of Clint and would rehearse at his studio, where he recorded a few demos for us. Have you listened to those early demos recently? “Yeah, and we were quite raw and punky. It wasn’t until the Cow demo, the legendary Dung 4, when we first had that keyboard sound that became our direction. It’s funny really that bands like yourself and The Charlatans, caught up in that whole Madchester thing, proved to be the ones with the true longevity. “I know what you mean. When I first heard The Charlatans I thought they were more a Carpets and Manchester copyist band, with a little Spencer Davis influence too. You didn’t seem to have too much in common with those bands you were grouped in with, at least musically. “No, we were more about developing our craft, or more likely banging our way through what we were doing. I agree with that view of the Inspirals as scene outsiders, confessing that – new to the area at the time, and possibly because of that Teardrops-like sound – I felt they were more Liverpool than Manchester in certain respects. I now know better perhaps, not least because of their Oldham roots and through listening to Stephen’s Mancunian tones. “That’s interesting, although I’m not sure if some people would like us being referred to as a Scouse band! I do know that when I started visiting Lancashire in the late ‘80s, you were all over Granada TV. So perhaps we’ll just compromise and just say ‘North-West’. For all that, it was that old standby of John Peel airplay that made the difference, the legendary Radio 1 DJ playing the Planecrash EP then inviting them in for a session. “He was a massive influence on the band, and the catalyst for us moving on, not least when he started playing Planecrash. “I would listen to Peel a lot, and we had a bit of a nod that he was about to play that first single. And when it came on first song, that really made my day! “We then got invited to do a session and play live for a couple of his student nights, getting to meet him. That was brilliant. Even by 1989 the Inspirals were going down the truly independent line. Is that something that helped them adapt to a very different music business 25 years later? “I think so. Clint says – and he’s totally right – we’re hard-working, with a real work ethic, not afraid to go out and do however many gigs we feel necessary to put ourselves out there. Ah yes, the merchandise. Everyone will remember those early band t-shirts too. But then, with half of the album written, Stephen and bassist Dave Swift left to form The Rainkings. Can he remind us why? 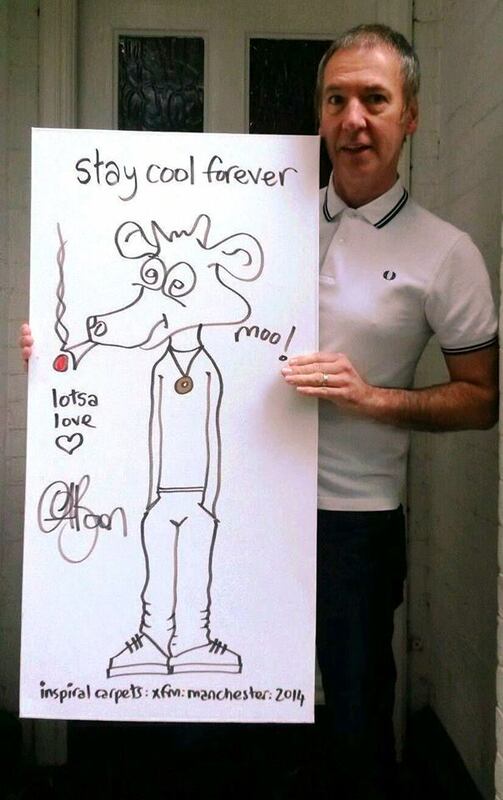 “For Dave it was never really permanent. He was around for the first singles but had been my best mate for years. “He lived around the corner from me, went to the same school and were in schools bands together. “He came in just as it all picked up, but had done two years at uni and was struggling, feeling he needed to concentrate on that to get through his last year. “With me, and I regret quite a bit of it now, things had started to change. The way I saw it was that a lot of that early spirit had gone. “But after Planecrash, managers and agents and all that getting involved, it seemed to be taken away from us. “Clint was more driven in that respect, and Graham too, so they were moving the band in a direction I wasn’t so sure about. “Rather than speaking up and saying, ‘I’m not sure about this’, I moved towards Swifty a bit more and we became more unsure and the negative side of the band. And how was it for Stephen to see the band’s subsequent success from the outside? Those were heady days for the Inspirals of course, their second LP The Beast Inside also going top five the next year, with the band trying to break the US market too. Then 1992’s Revenge of the Goldfish was also a top-20 album, but while 1994 offering Devil Hopping also made the top 10 and that fanbase never really fell away, a split followed. “I was keeping an eye on how they were doing, but didn’t really have much contact with anyone for around 20 years. “From what I understand, Mute let the band go, although demos were made for another album beyond Devil Hopping. Stephen had carried on recording, bringing out a couple of singles with The Rainkings on Playtime in 1989 and 1990. How does he think they stand up today? “Erm … the first single was … bad really. We rushed it, having been pushed by the label to an extent. 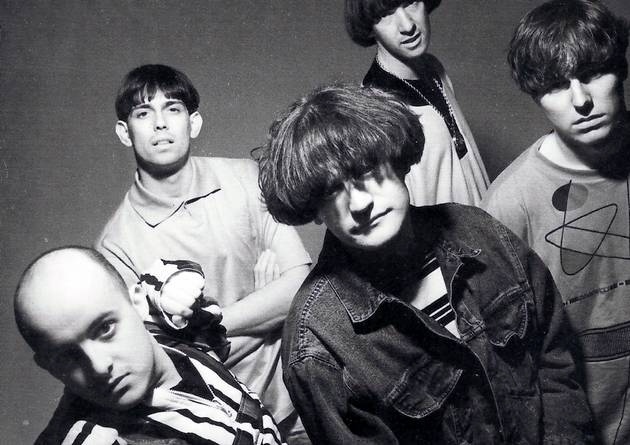 “Trainsurfing ended up on Cow rather than Playtime, so I think they thought they’d been shafted by Inspiral Carpets, and instead jumped on The Rainkings, pushing us to challenge them, although we weren’t ready. “But I’m still really proud of the second single, the Get Ready EP, which we recorded with Ian Broudie. “That was another honour, not least because of his work with The Teardrops, The Bunnymen, and Wild Swans. He was an icon. I’m guessing there were day-jobs by then. Stephen manages a drug and alcohol support service in North Manchester these days, having studied social sciences during his early band days, then working in mental heath and support for vulnerable people. But by the time The Rainkings were over and done with, Stephen’s old band-mates had their own thing going again. 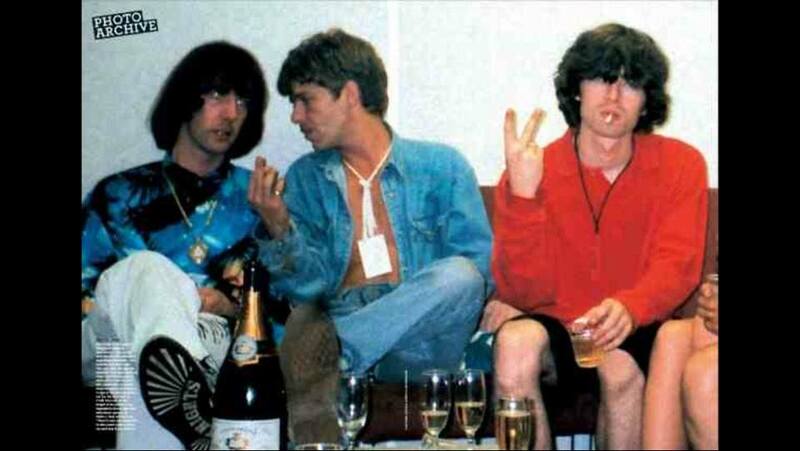 One of the Inspirals roadies famously formed his own band too, a certain Manc by the name of Noel Gallagher. So was he around in Stephen’s day? “He was. He hadn’t started roadie-ing for us at that point, but was a massive fan, would come and watch and wanted to get involved. “What I remember is this indie kid who looked pretty cool, wanting to be around the band, learn things and help out in any way. 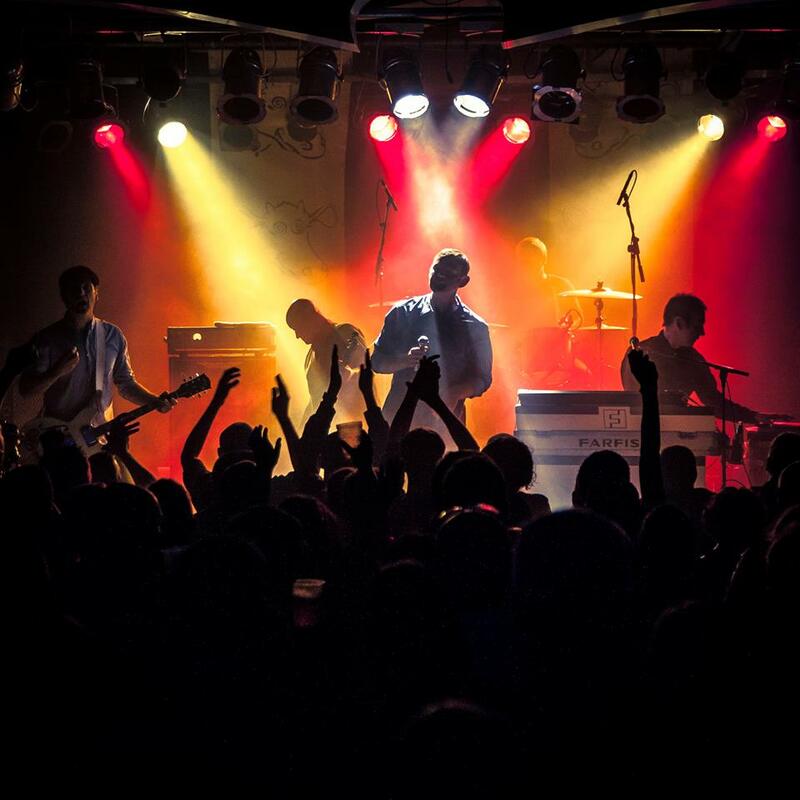 There was a reformation in 2003, involving a single unearthed from those shelved Mute demos from 1995, followed by a couple of sell-out tours and notable back-catalogue releases. “I was totally oblivious of it all at that time, I’d moved on. I knew they were touring but didn’t know they’d released anything. Sporadic touring followed, before Tom left in 2011 – supposedly frustrated at a lack of regular band activity – and Stephen stepped back into the Carpets fold. Then came You’re So Good For Me and a big tour in 2012, then further dates with the Happy Mondays. So did Stephen find both bands had grown up and become wiser for their respective experiences? It’s been a busy 2014 too, with the Isle of Wight Festival, T in the Park, and a gig in Manchester which proved to be another defining moment. “Yeah, The Band on the Wall gig was the fastest-selling the venue ever had, the tickets going in around 10 minutes, I believe. “We were putting things together for the album then and wanted a few warm-ups, but that turned out to be much more, becoming a focus for other stuff, including a DVD. “That’s what’s also pleasing at the moment. We’ve still got our support, albeit with quite a few of them older and balder than they used to be. But there’s definitely a younger element to the audience as well. “I love it when people say, ‘You were my dad’s favourite band and I’ve got all the old vinyl, now I’ve bought the new one’. There was the Spitfire single to further whet the appetite before the album came out too, and finally that long-awaited eponymous LP, with a few more surprises. 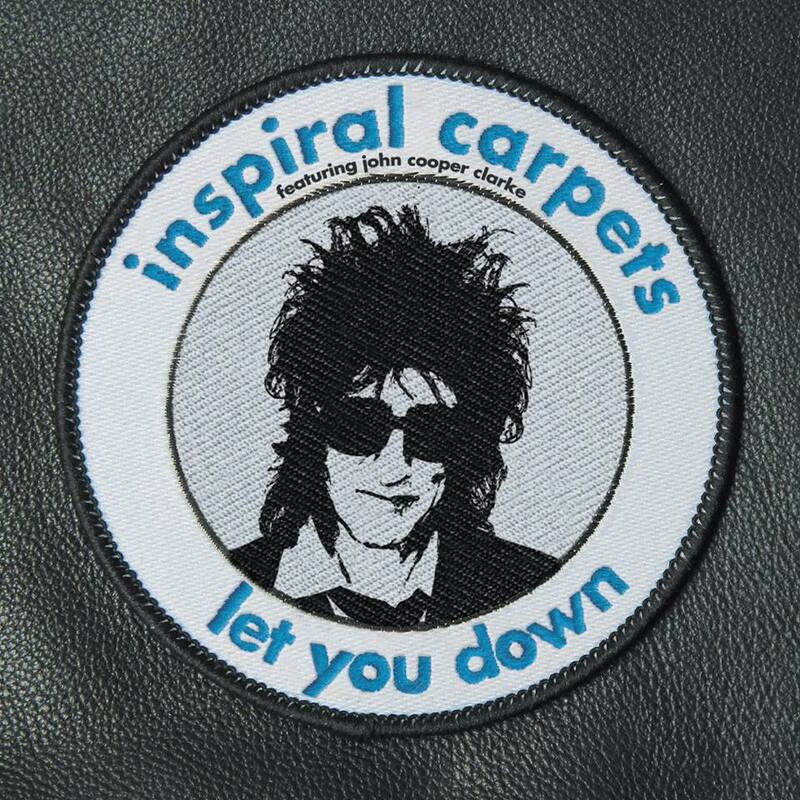 Some 20 years after The Fall legend Mark E Smith memorably guested with the band, there’s a song with punk poet laureate John Cooper Clarke this time. And the awesome Let You Down is a winner even before ‘Dr Reliable’ comes in to add some of his trademark wordsmithery. “The Bard of Salford! As soon as we started doing that song, we knew it would lend itself to something like that. It reminds me of JCC’s early classic recordings with Martin Hannett, teaming up with The Invisible Girls. “Apparently, he didn’t like all that, feeling he was forced into putting music to his poems in those days, and it’s not something he wants to do again. “But I agree with you, and we were so made up with what came back to us. “We recorded the tune, sent that over, and we were lucky he was in Manchester, so Clint got him in at XFM to record it. Was it a true hairs-on-the-back-of-the-neck moment? And this whole album seems to bring the band full circle, the energy of those early recordings suggesting they’ve got more in the locker too. 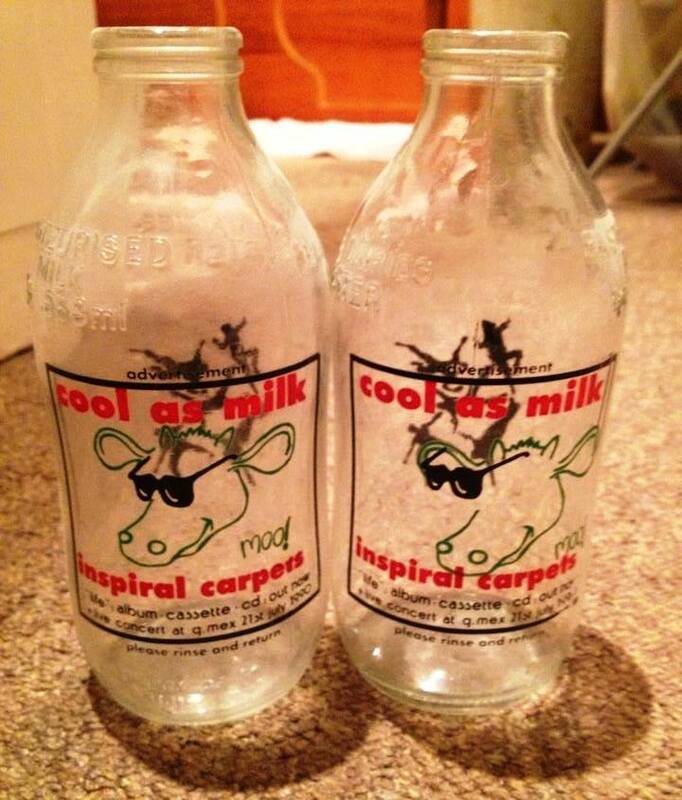 So what’s next for Inspiral Carpets? Have you planned into the future on all this? “We haven’t really. The plan was to give it this year, with the gigs lined up to finish the year and Let You Down possibly out as a single early next year. “Then there’s a Butlin’s Minehead weekend, possibly with the Mondays again. Furthermore, the Inspirals are set to bring the curtain down in style in two respects at Preston’s 53 Degrees on December 21. It’s not only the last of an 12-date tour but also the last gig at the popular university venue, another forced to close in these uncertain times. “Yes, it’s sad that it’s going, but that was one of the main reasons when we were putting the tour together, deciding on it as the final night. 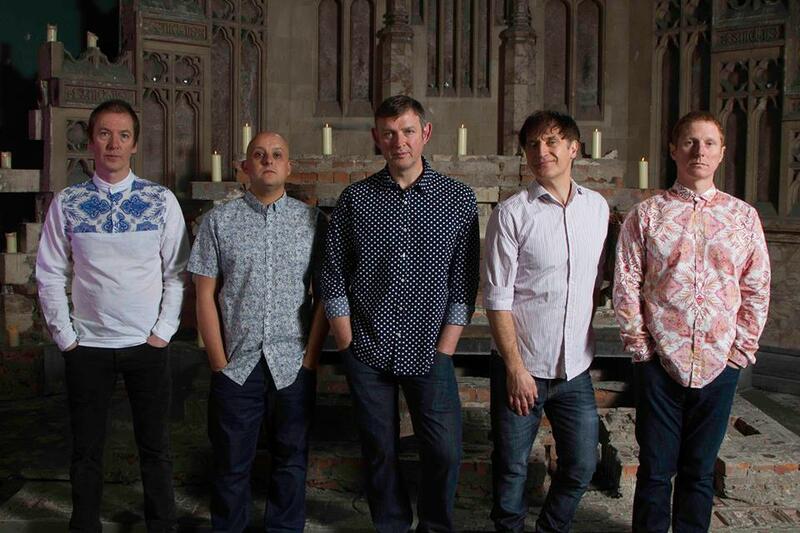 For the full list of dates, and all the latest from Inspiral Carpets, head to their official website here. 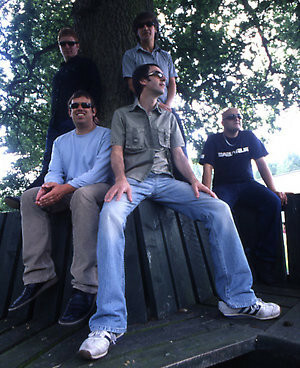 This entry was posted in Music and tagged Clint Boon, Craig Gill, Graham Lambert, Inspiral Carpets, Martyn Walsh, Noel Gallagher, Stephen Holt, The Mighty Lemon Drops, The Teardrop Excplodes, Tom Hingley. Bookmark the permalink.